Join us for the hotly-anticipated climax of 2019. 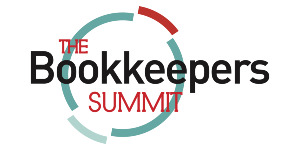 The Bookkeepers Summit on 25 and 26 November is the ultimate event for bookkeepers who want to stay at the top of their game. Now in its 10th year, this two-day event will give you industry insight, regulatory updates, thought leadership and the chance to meet up and get motivated with your peers. We're working hard to curate the best speakers and the best content for you ahead of this landmark event in November. There's a reason why Xero's Gary Turner says this is the 'only community event that Xero goes to' and that's because of the passion of everyone who attends and the scale of change that we bring about by connecting here, at the profession's most monumentous event. Eye opening and totally inspirational. The Summit keeps me going for the next year. Earlybird tickets for the 2019 Summit will be on sale this Spring and will include a hot lunch and refreshments throughout the day. Bundle tickets will be made available and include overnight accommodation, Luca Awards Dinner and Dancing, and breakfast. Please see ticket details and Event Terms and Conditions nearer the time. A bustling marketplace with the profession’s leading brands and suppliers. Meet the people behind the products and services you use every day, speak to Sage, inquire into Intuit, zero-in on Xero. The most informed and influential minds of the profession will be sharing their insights with you and setting out the roadmap for the future. Whether you’re a student or a new or established bookkeeper, you’ll leave the Summit with new knowledge, vital tools, and CPD certificates from the targeted training sessions that take place on both days. So many bookkeepers all under one roof! This is your chance to network with your peers, gain the confidence to launch a business, or learn how to drive efficiency and expand. The Summit is about having fun and sharing the joy of bookkeeping no matter what stage of the journey you’re at. 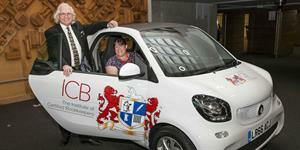 If you’re facing a challenge or dreaming big, there’s a bookkeeper here to help you get there! If you've never been you're really missing out! It’s time to party! After a busy first day at Summit, join us under glittering lights and architectural splendour at a drinks reception and three-course dinner. This is your opportunity to get to know your local branch and toast the success of your fellow members as we announce the winners of the prestigious Luca Awards. And we’ll be dancing the night away at our very own Luca Awards disco. Don't forget that you will be able to apply for a Luca Award or nominate someone you know. The beautiful Radisson Blu Edwardian Hotel in Heathrow is one of Europe’s largest conference centres, combining dramatic spaces and distinctive design. Heathrow is 15 miles west of Central London and easily reached by road or public transport. The Summit provided everything I was hoping for. I was informed, motivated, and gained contacts - ticked all my boxes!! Looking forward to next year already.